Globally, in recent decades, forest industry has come under increased scrutiny, often led by environmental non-government organisations (ENGOs). The present paper analyses the strategies used by the ENGOs in different forest conflicts involving forest industry. The main aim is to determine if there is a relationship between forest industries’ partners (shareholders, financiers and customers) and the location of the ENGOs campaigning against them. Fourteen forest conflicts are used as case studies, representing different geographical regions. A detailed screening of the different actors and relations was performed for each case study based on existing academic literature, publications from relevant ENGOs and companies. The results reveal a strong correlation between the location of the ENGOs involved and the companies’ financial and economic partners. We put forward, and test, a theoretical framework to explain the mechanisms used by the ENGOs to apply pressure on the companies involved in conflicts. The blanket nature of the campaigns by ENGOs illustrates that the movement has globalised in response to the global nature of the industry. 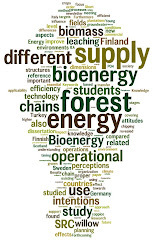 The present research contributes to a better understanding of the relationship between forest industry and ENGOs, including the strategies employed by the ENGOs, and in assisting forest industry in its interactions with stakeholders, including ENGOs. UPDATE: This paper ranked number 7 in the most downloaded research papers of January 2011 at the International Journal of the Commons.